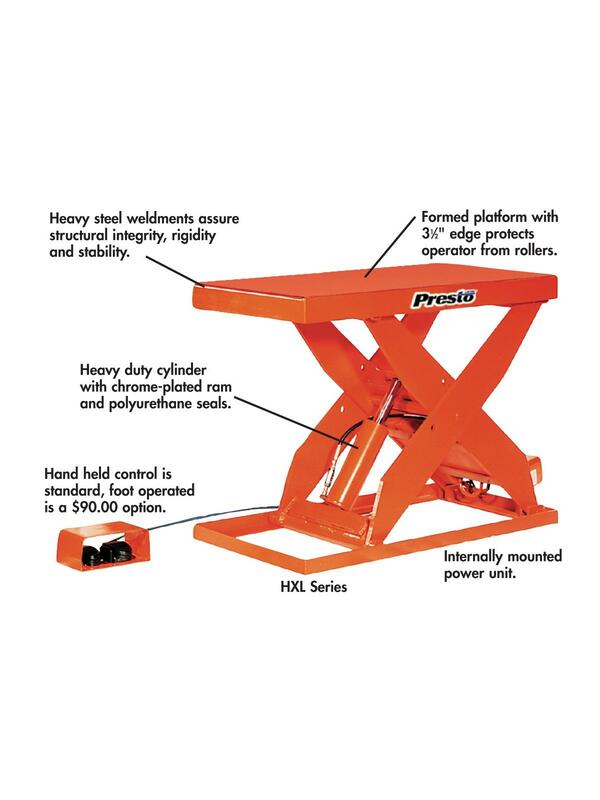 Shipping weight includes 50 lb. pallet. 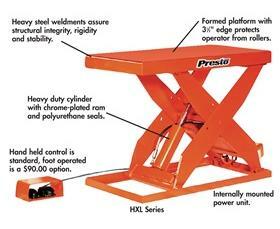 Oversize Platform - Up to an additional 24"
Platform With Beveled Edge - Required for pit mount - Call for pricing. ?High cycle available - Call for pricing. 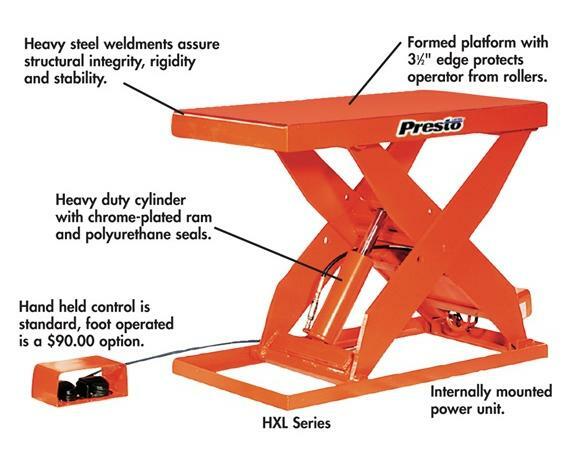 See Related Items tab for Accessories for Scissor Lift Table.